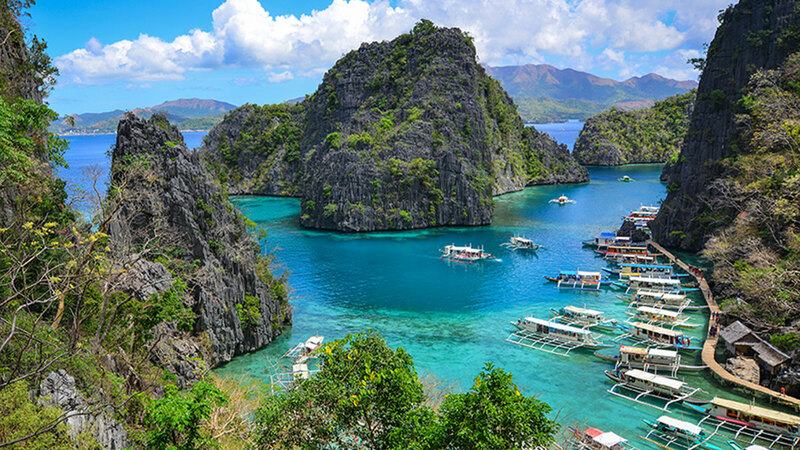 If you are an Overseas Filipino Worker (OFW) looking for the best ways to send money from the USA to the Philippines, you have come to the right place! Few factors to consider while evaluating the best option for you are; exchange rates, transfer fees, the speed of transfer, security, and convenience. Bank Transfers: Most banks in the US offer the service of sending money to the Philippines. This is ideal if you are are looking to transfer a large sum of money. Money Transfer Agents: Companies like Western Union, Moneygram, and Ria offer the fastest way of moving money from one location to the other. Cash pickups are the best for emergency situations. Money Order: In this case, the recipient in the Philippines receives a guaranteed sum of money, which was prepaid at the bank or post office by the sender in the US. Money order is ideal if you need to send a specific sum of money. Online Money Transfer Services: If you have access to the internet, online transfers are the best way to send money. Online transfers will give you the best exchange rate, zero to a minimal transfer fee, high speed of transfer, security, and convenience. The traditional ways of sending money have proven to be more expensive, cumbersome, and slow. So, we have taken every parameter into consideration, while crafting a list of best companies to send money to the Philippines online. Xoom, a Paypal service is the fastest and the most secure way to send money to the Philippines. It takes only up to an hour to complete a Cash Pickup and 4 hours for Bank Deposits. You can pay using your credit card, debit card, or bank account. If your bank account and Paypal accounts are linked together, you will also be able to transfer money through the internet using Xoom Money Transfer System or through their Xoom App. Philippines National Bank is one of the largest banks in the Philippines. Their money transfer services to the Philippines are available for both currency exchanges from Dollar to Peso and Dollar to Dollar. And if you have a Xoom account, you can make instant deposits to PNB banks 24/7, 365 days a year for a fee of $4.99 to send up to $2999. TransferWise is a startup disrupting the remittance industry. Founded by the first employees of Skype, who got tired of paying a huge amount of fee to the banks while sending money. This money transfer company is built for lives without borders. Staying true to their mission, they provide a transparent exchange rate with no markups, which are often the highest exchange rate and takes up to 4 days to transfer money from the US to a bank account in the Philippines. Derived from its name, InstaReM provides instant remittance. It is another disrupter founded in Singapore that offers fast, safe, and a cheap way of sending money overseas, especially to the Asian Countries. InstaReM also works on a Zero-Margin FX rate and charges a low commission rather than charging a fixed rate. It is a popular choice for transferring a small amount of money in no time and takes up to 2 days to a complete a transaction. Nestled in New York, Transfast offers competitive exchange rates, low fees, impressive transfer time and a money-back guarantee. You can claim a full refund if your money transfer is not delivered after you have done the transfer. In the first quarter of 2016, Transfast was listed by World Bank at the top of the World Remittance Prices database for providing the lowest-cost remittances to the Philippines. Ria has over 30 years’ experience and has consistently ranked number one because it is one of the cheapest, fastest, and the safest way with great rates. You can pay using your bank account, credit card, debit card or cash. If you are an OFW sending money to the Philippines for more than $1000.01 or for the first time, you can avail their offer of a free transfer fee. Based in Seattle, Remitly is focused on delivering a promise to provide low transaction fees and swift payment overseas transfers. Located in the tech hub, Remitly wants to do away with antiquated ways of sending money through their proprietary global transfer network described as “easy-to-use mobile app”. OFWs pay zero fees when you send money to the Philippines for the first times. This London-based firm is an evangelist of mobile-to-mobile remittances. Spearheading the company is Ismail Ahmed from Somaliland. In a bid to solve the complexity of sending money and corruption, WorldRemit initially started with a huge focus on the African continent. Today, it is operating in over 140 countries including the Philippines. All the exchange rates are displayed upfront and you can initiate your transfer at a click of your button or a tap on your smart devices. Trusted for more than 25 years and licensed as a money remittance company in all US states it operates. It guarantees a fast, secure and reliable means of sending money to the Philippines. Lucky Money offers Bank deposits, Door to door delivery to anywhere in the Philippines, Cash pick-ups, and Lucky Money ATM Visa/Cash Card. Regular customers can send up to $2,999 in just a few minutes using their bank accounts or through the Lucky money app. Depending on the recipients' preference, one can also choose to receive the money in Philippine peso or in US Dollars. Serving the expatriates community for more than two decades, Placid Express is a Money Transfer provider that specializes in direct money transfers with competitive exchange rates and zero to low transfer fees. Recipients can receive the money through cash pick or it can be directly deposited to their bank account in the Philippines. Remitters can opt to send money via debit card, credit card, or bank accounts. When you send money using your bank account it is free. Users can also send money via a mobile app. USA to the Philippines is one of the fastest growing remittance corridors. Both new and old money transfer service providers are making huge investments resulting in tougher competition, which translates to lower fees, better exchange rates, and best quality of service to customers. We have already seen a 30% drop in transfer fee worldwide in the last 10 years and the exchange rates are improving. Like any purchase, make sure you compare the USD to PHP exchange rates offered by various service providers to get your dollars' worth. And to know the daily USD to PHP exchange rates you can subscribe to alerts here.